Ok, technically Ukranian I guess. 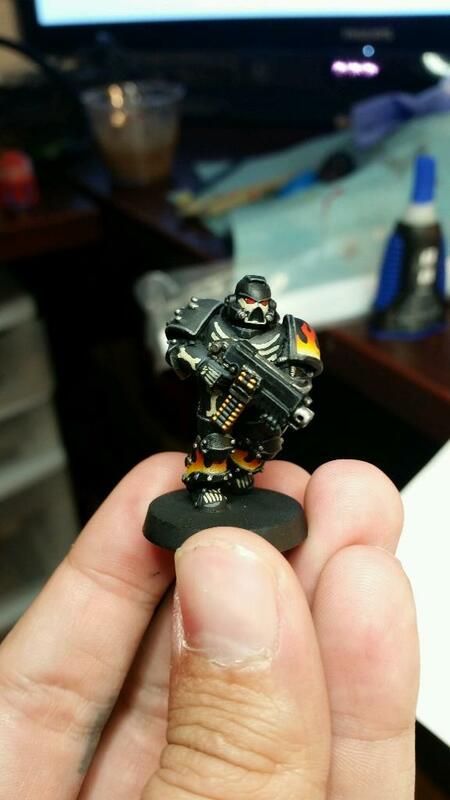 Ordered some Terminator bitz from WarGame Exclusive. Pretty happy with these guys, they should make for some good characters, or maybe I cold repurpose them for Arjac’s Shieldbrothers. They are definitely more Cataphracti feel, and the little dangly bits for the shoulderpads and crotchal area are separate. I’ll probably skip using the as they seem kinda fiddly to get placed correctly and I really can’t be arsed. I have some stuff from Puppetswar coming as well, so we will see how mixing that stuff up shakes out with these. The crested helmets in different marks are pretty self explanatory. These are all super nice, got some definite mould lines on the MK4, but nothing that isn’t easily cleanable. Only one this time, but I saw this body on ebay while trawling for FW bitz and knew instantly what I wanted to do with it. 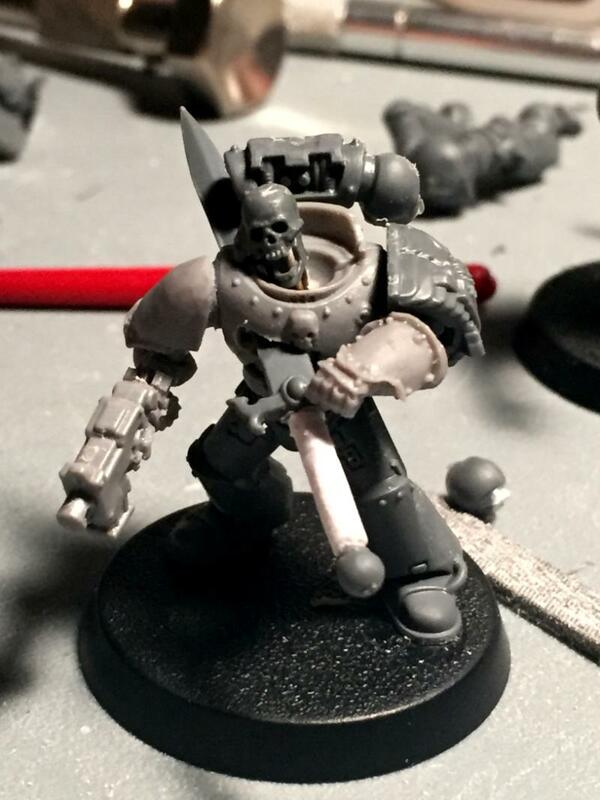 He will be another Fallen that will rock into the melee squad at some point, for now he just looks cool. He’s feeling a bit Night Lordy to me thogh so who knows. I also got some Kromlech choppy bitz in so, seriously considering giving him one of the blades below instead of the LC. Undecided so far, but those swords are coooool. 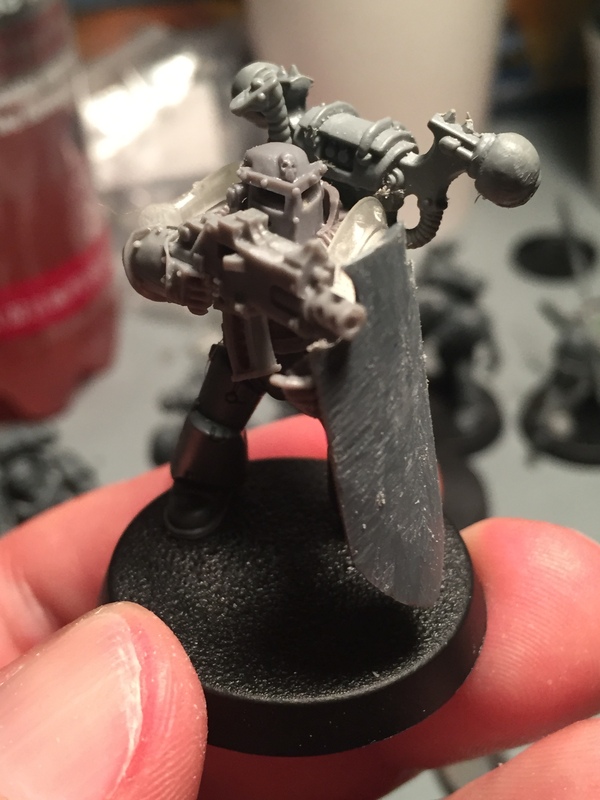 The thin Chainsword is earmarked for a Ragnar conversion. The body on this mini is a bit weedy compared to other SM kits, but he looks ok next to the rest of the squad, so that’s what counts. 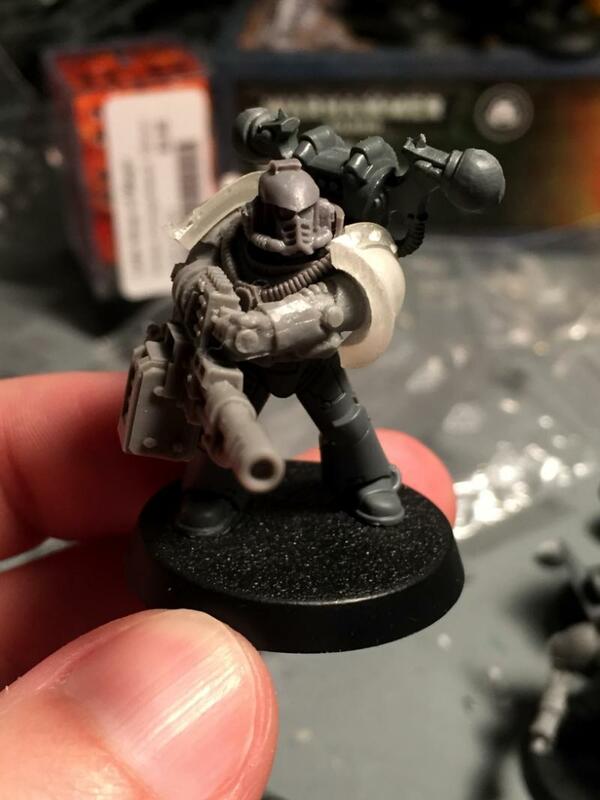 I need to order more CSM packs. Again… Loyalist world problems. The Ordo Venator is a squad of Fallen Havocs currently aligned with Cypher, The Host and attached to the ThriceBorn Legion. Member numbers vary, but they never seem to fall below Five, with a Fallen Angel of some reputation named Morax always in command. The Host is the name of a warband of renegade Astartes who appear from time to time throughout the history of the Imperium. Misdirection and trickery are their wont, along with sudden and decisive violence. The renegades wear armor and iconography that appear to link them to the Dark Angels chapter of Space Marines. Any attempts to question the First Legion or any of their successors regarding this matter have met with silence at best and violence at worst. 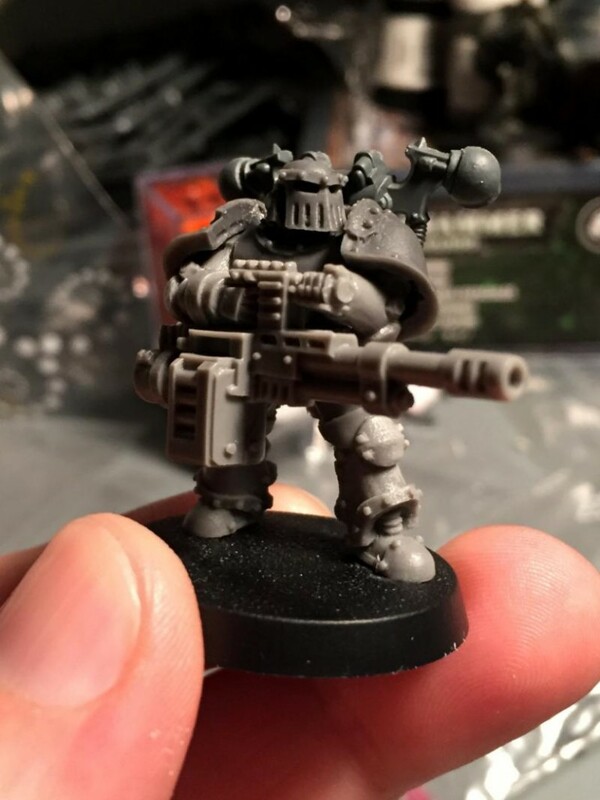 It has been noted by some members of the Imperial Inquisition that where The Host appears, elements of the First and Second Companies of the Dark Angels oftentimes follow. Pretty happy with how these guys are coming along. I wanted to leave their allegiance questionable with subtle hints here and there. Also, no hoods. I wanted to make sure I didn’t just do guys in hoods with Chaos shoulderpads. I think it’s working, I may need to push it towards the Chaos end of the spectrum further, on Vassago in particular. I do think the Chaos packs do a lot to break up the regular Astartes silhouette, it feels good so far. Need mor skulz! I maaaaay end up marking up the Dark Angel iconography in subtle ways, like… is it battle damage, or has it been intentionally defaced? Not sure on that though yet. The other thing I have done, name wise is dug around and given them all fallen Angel or Demon names, feels appropriate. 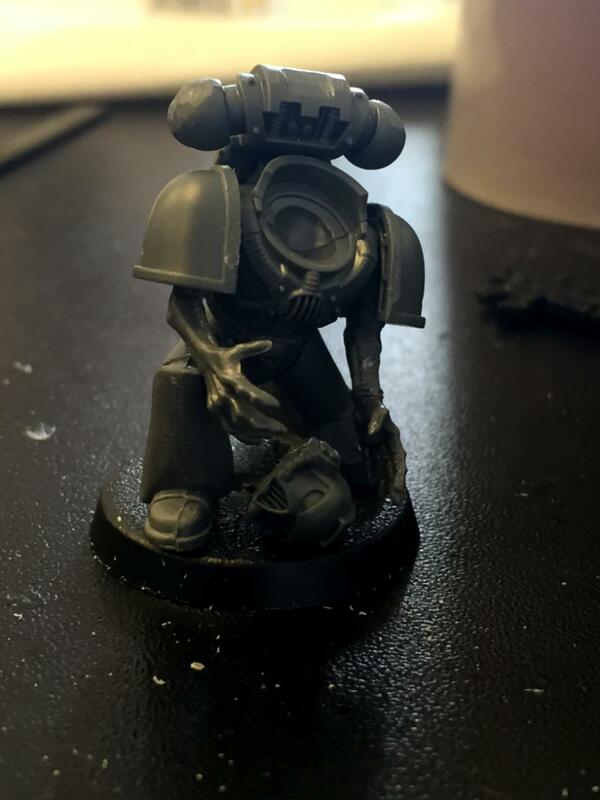 “Their first birth was into their worthless human litter, their second in service to the Corpse-Emperor who betrayed us all and their third shall be in eternal allegiance to me. My ThriceBorn truly know no fear, feel no pain and with each enemy that falls before them, my Legion swells. “A storm is coming. Our storm. And when it arrives, it will shake the universe. Emperor… we come for you! !” – Marbas, Tyrant of the ThriceBorn Legion – Former 2nd Battalion Consul, 5th Chapter, I Legio Astartes. 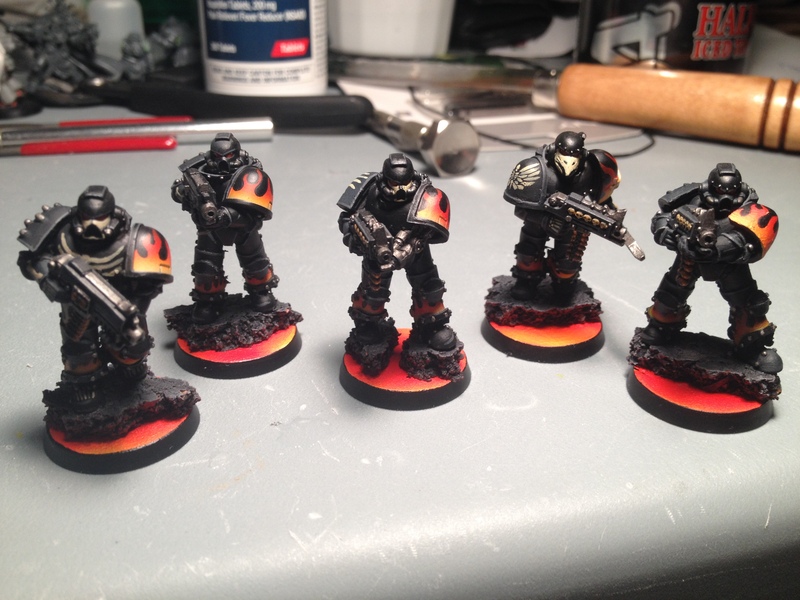 So, I have been toying around with a small Fallen Angels list led by Cypher and a Sorcerer. 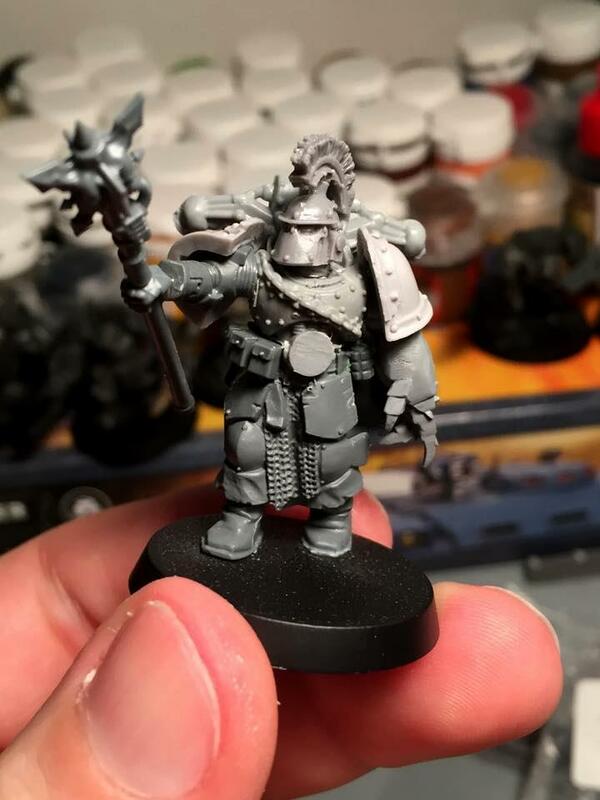 I have always liked the idea of proper undead Astartes, not LotD, or Nurgle-ified plague zombies, but risen by a necromancer or somesuch. 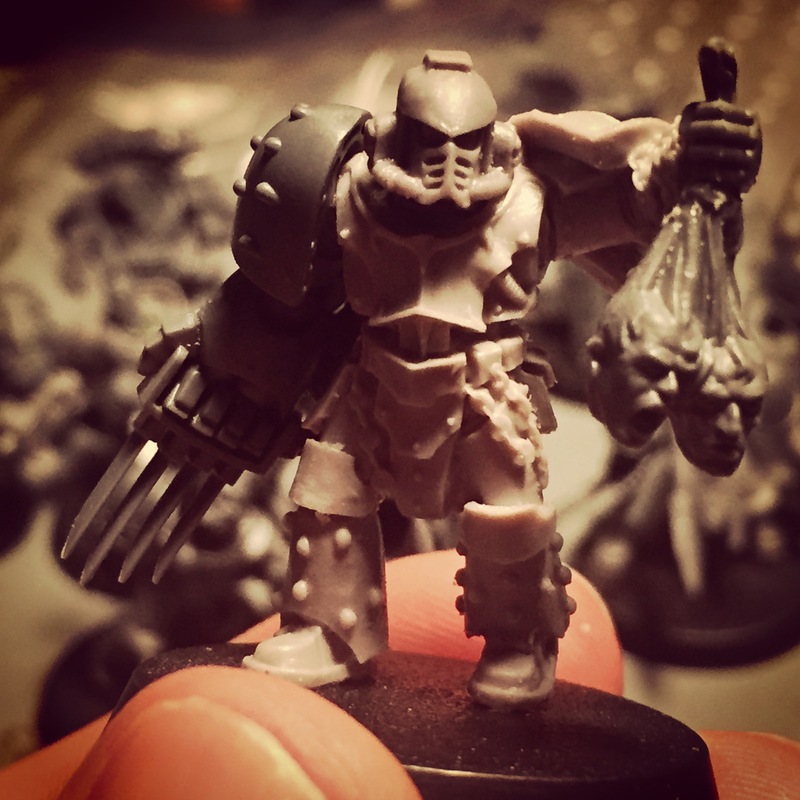 There really aren’t “necromancers” per se in the 40k universe with the exception of the aforementioned Nurgle adherents. That’s not really the look I want. What I decided to go for was a Fallen Dark Angel Sorcerer who was raising the dead loyalist Marines that his warband killed and adding them to his legion. Along the way, for whatever reason (Cypher gona Cypher) he was contacted by the Lord of the Fallen and their forces were linked for a time. Building out the list with that in mind meant I wanted at least one squad of Chaos Marines to represent the undead legion. Giving them the Mark of Nurgle to up their toughness made sense in my head, it may or may not stay in the list at the end of things. The Sorcerer, the undead Astartes and a small unit of Cultists will round out that contingent. There will be a 5 man Fallen Havoc squad with auto cannons and a 5 man Chosen squad who will accompany Cypher. The Chosen will be set up as sword and board guys with their shields to justify the +1 toughness from their Mark of Nurgle. Along with a Rhino and a Predator Annihilator, that’s the plan for the 1000 pt force. So I have let my modeling ADD get the best of me again. I have an idea for a small, yes actually small Raptors force. I also have bits for a 5 man tank hunter assault squad set out that may or may not get done in this initial push. Comes out right at 500 points, so that should be fun to goof around with a bit. 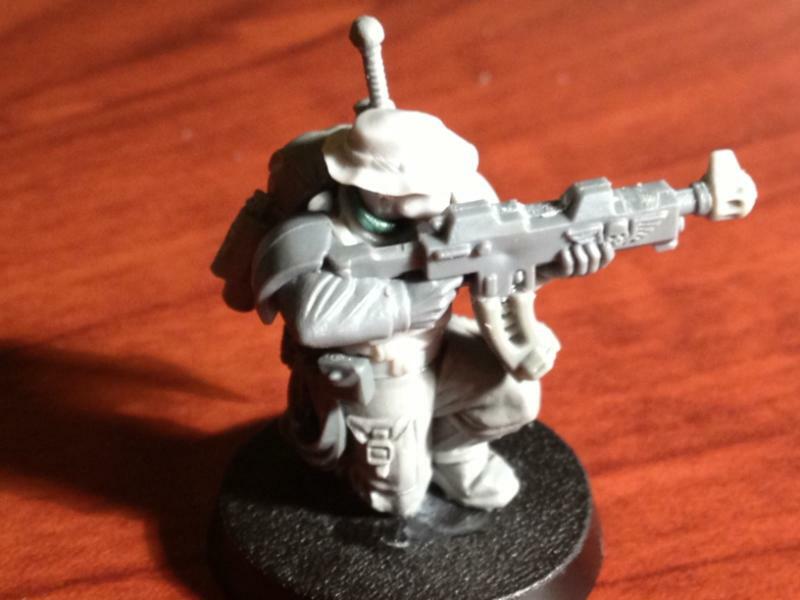 The tacticals, and probably most of the power armored infantry in the army going forward will be based off of Anvil Industries Black Ops kits, to give them a slightly non standard look and as seen above the scouts will all get helmets via the new IG Stormtrooper kits, because the non helmeted scouts look all kinds of goofy. I have been thinking about how to do color scheme, since the stuff for the Raptors is kinda all over the place. So this is what I have come up with for the Color Bible. Squad marking: Vertical stripe on the right shoulderpad. Company marking: Lower plate of the right shoulderpad as a roman numeral. Squad Leaders: Slate grey helmet stripe. Veteran Sgt’s & Veteran Marines: Slate grey helmet with stripe matching company color. Some of the FW pics have various marines with a vertical black stripe on the torso of their armor, that may or may not get incorporated. With the Black Ops torsos there is a lot of kit on them so that might get lost and just being visual noise. We shall see. Legion of the Damned. 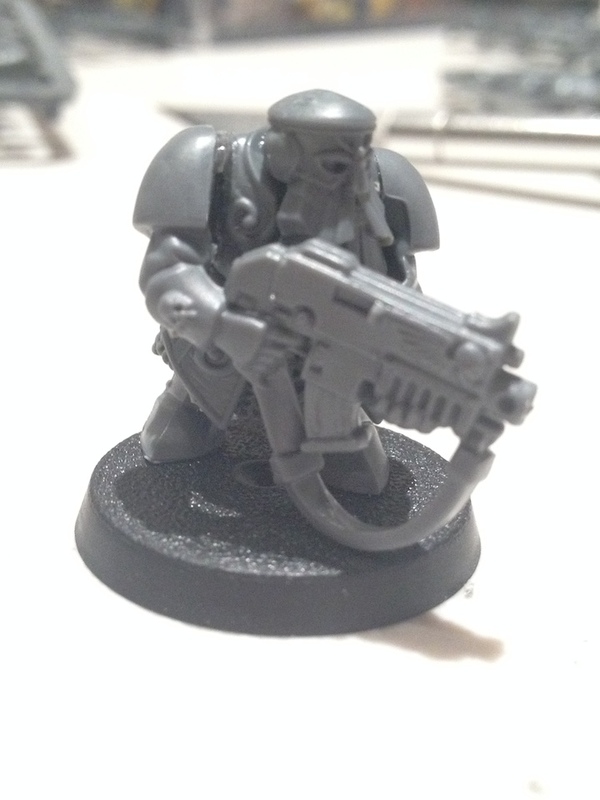 I put a squad of these guys together using a mix of Anvil Industries bitz, Chaos bolters and regular Marine bitz. I think they came out well. 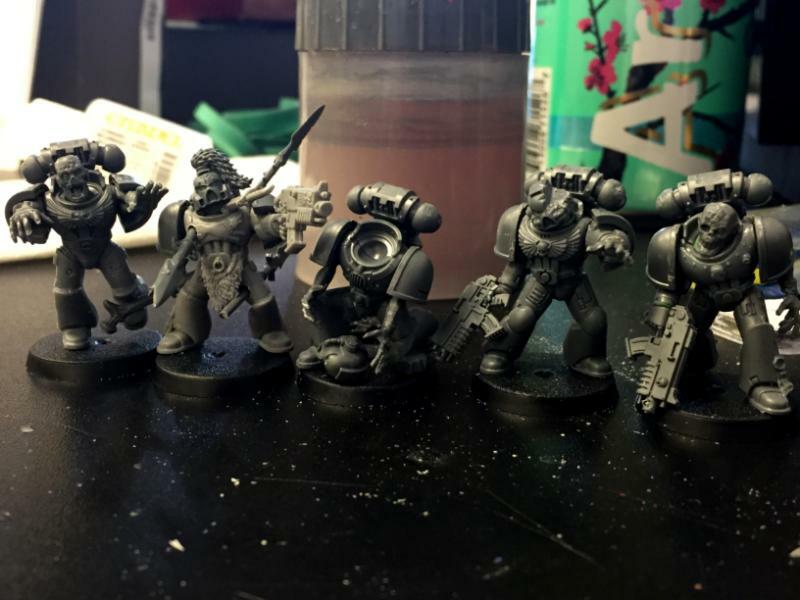 I really can’t be arsed with painting most of the time, I really like building and kitbashing stuff though so… I met a guy here in Vegas who does commission work and his stuff is fantastic, first look at the LotD squad he’s working on for me. Got the completed (sans backpacks because I’m a jackass and couldn’t find them when I handed off the models) squad this weekend. I’m super happy with these minis. More of his stuff is on instagram RIGHT HERE!! 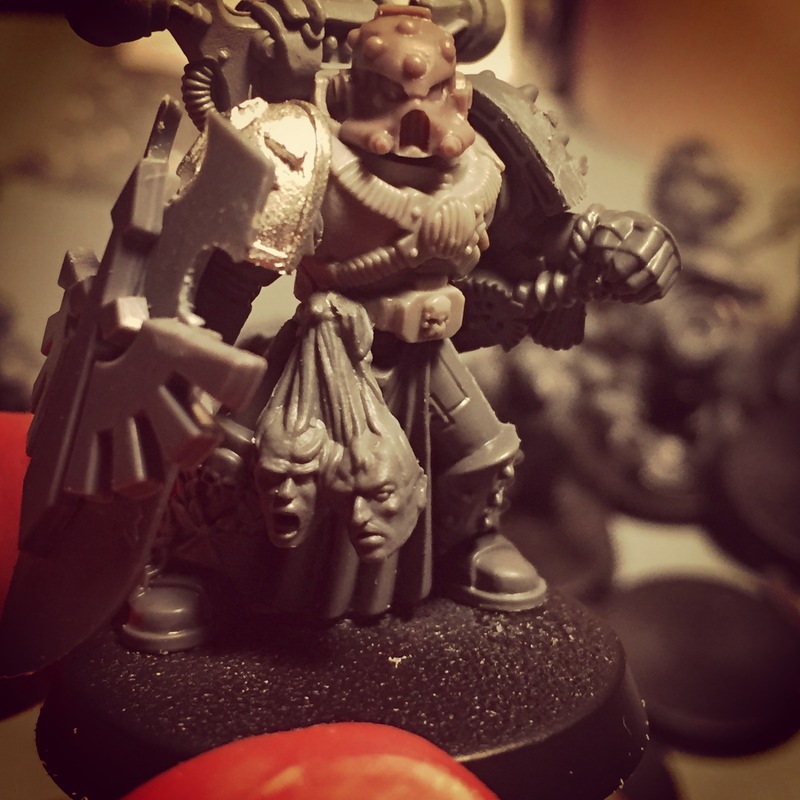 So I have been toying with the idea of making a small force of Space Dorfs forever, mostly because I think GW is wrong and that the idea is no more silly than robotic undead Egyptians. 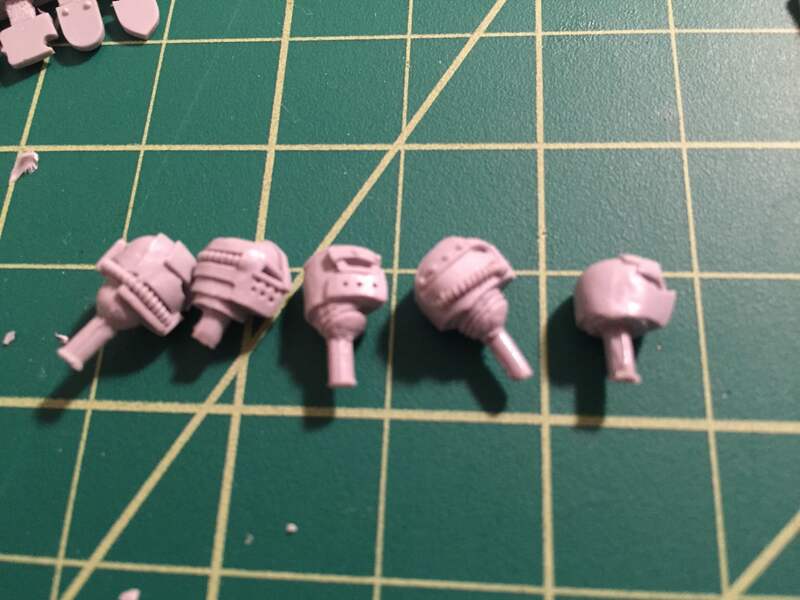 Came across a couple amazing posts on Dakka and, I am inspired and blatantly ripping off some of the builds, because Woooo Space Dorfs!!! So, 2 weeks out of back surgery and I can’t really sit for more than 10 or 15 mins at a time. Kinda puts a damper on any hobby work I want to do sadly so I’m trying to sort a good way to do a standing desk at home, already on one at work so that’s all good. I did sit down in several spurts for long enough to knock this together. I needed a Logan “counts as” and I DESPISE the official GW fig, so, yeah, this happened. So, I’ve been poking around with playing 40k again a bit now that I’m back stateside and have access to all my accumulated toy soldiers. Unfortunately for me, and my bank account… I tend to have a pretty string combination of ADD and sporadic OCD when it comes to kitbashing and converting things. I rarely actually complete a full army of anything or even stuff that is legal to field in game a lot of the time. In an exercise to prevent myself from doing that I have started a small Space Marine list using the new Codex, only 1000 points assembled so far and on to painting. A friend of mine has challenged me to a 1850pt game using the Adepticon rules, so I suppose I will need to do some more work there. 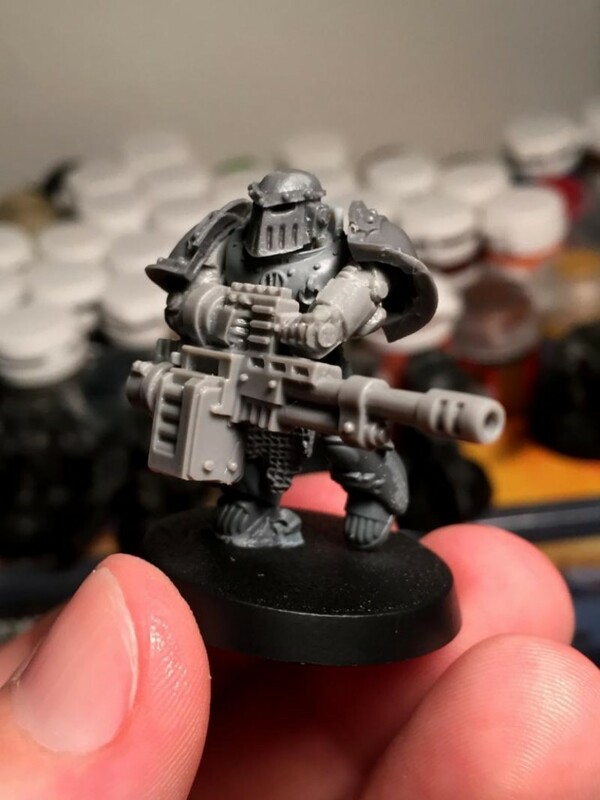 In my never-ending quest to make cool looking minis I have ordered some various bits from different companies, below I’ll go through the companies I’ve ordered from and give my thoughts on them. Wow! 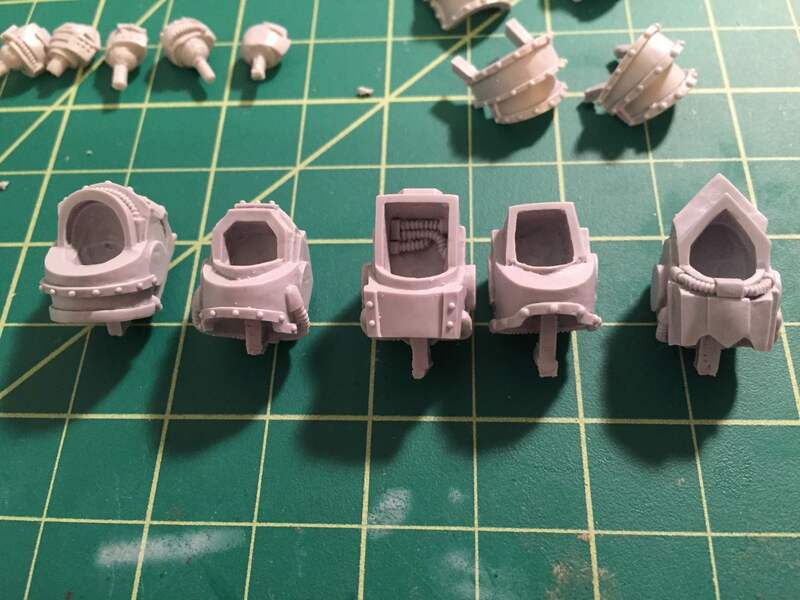 These are the cleanest resin bitz I’ve seen. No flash, no mould lines, super detailed, very good resin quality. No complaints whatsoever, will definitely be ordering more from these guys. These are super nice, very clean bits. The resin is decent quality; I didn’t get any bitz with bubbles or broken bitz or anything like that. Very little mould lines if any at all. Very impressed with these bits, will definitely be ordering more from Joel. 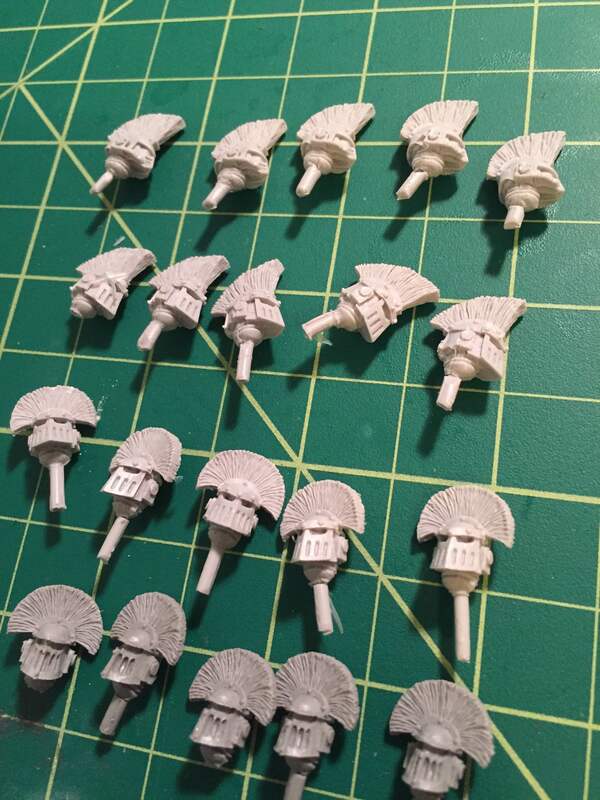 These are also very clean, detailed bits with good quality resin. 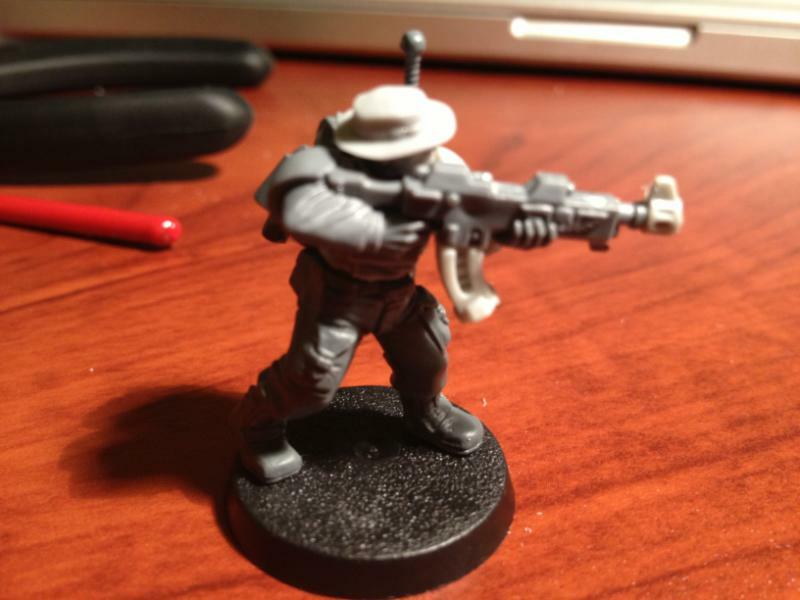 The Pulse Rifles do not fit very well with GW guardsmen arms, at all. They may work better with the arm sets that Mad Puppet offers but I don’t know if I’ll be ordering those to find out. 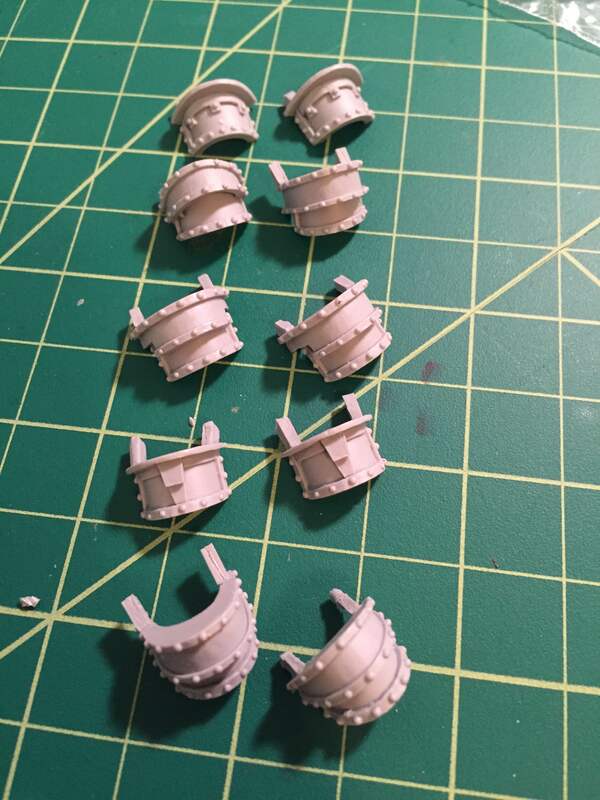 I will however likely be ordering more sets of heads, I liked the results I got quite a bit even if the heads tend to be a bit “samey”, but then that’s going to be the case with most heads for minis so… I haven’t got any of their torsos but may be doing an order for some of the Molle armor for my Ashigaru. The biggest knock here is really that they don’t have a lot of variety on their site. I really want to rate the Chapterhouse stuff higher just due to them actually being willing to go to legal battle with GW, but this is about the bitz. These sort of left me wanting. I’ve talked about the pieces a bit before. 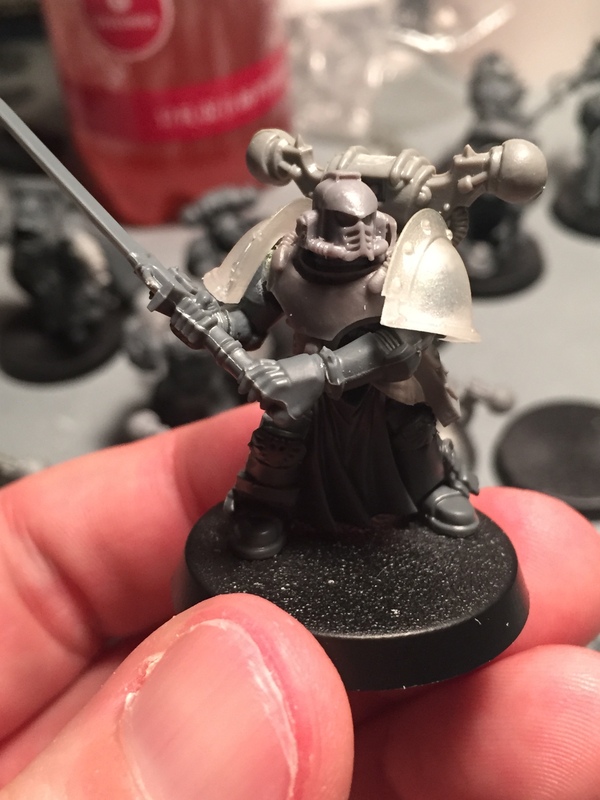 The legs for the truscale marines just feel… off, they are a bit too skinny and don’t allow the proper bulk for an Astartes, they end up looking like they are wearing skinny jeans. Do not want. The shoulderpads are largely decent aside from some weirdly designed ones that I will never use. The standard blank ones are good though, and I would order lots except that the studio doesn’t have their moulds set up to accommodate that apparently. The torsos are all awesome. 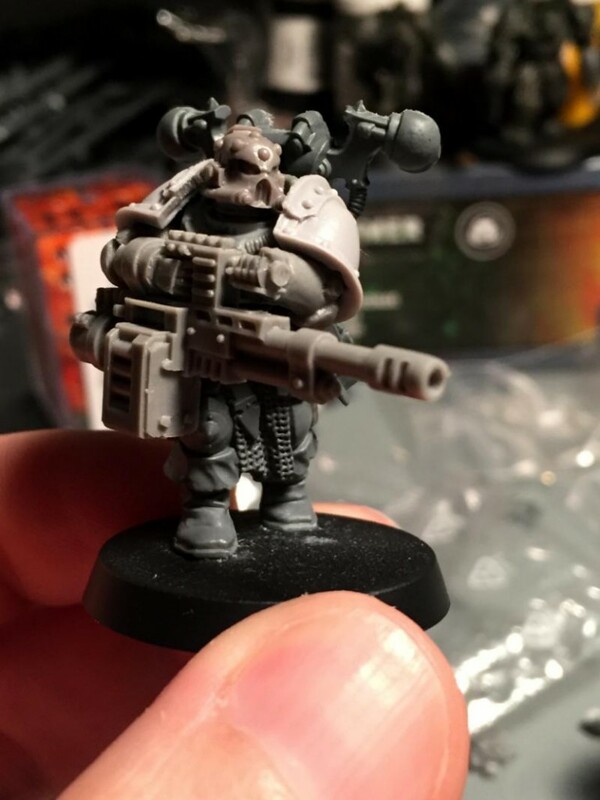 I could see myself ordering a bunch of these, mostly because I’m too lazy to do the torso conversion to truescale from regular SM bitz. The same goes for the backpacks. Quality wise the bitz are only ok, lots of cleanup work and flash. So… these were a bit of a letdown. The helmets are very detailed and for the most part look great all of the bitz had a ton of flash and lots of bubbles which resulted in a lot of cleanup work. 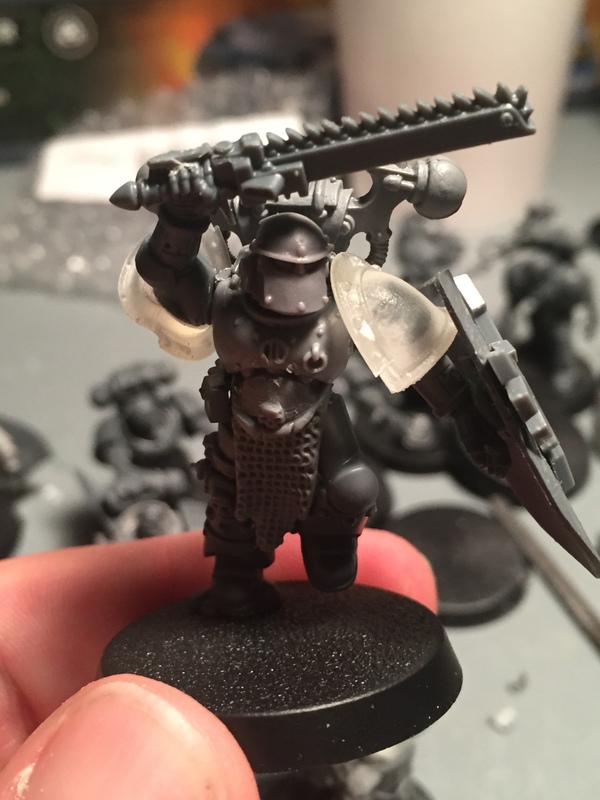 The pegs for the moulds full on break chunks out of the actual model a good portion of the time, Shoulderpads are decent visually, but they do NOT fit on regular Marine shoulders, or even IG shoulders so there is some filing on both the shoulders and the interior of the shoulderpads. The Katanas look good, but are super flimsy, I wouldn’t recommend them. Overall I think I will give these guys another shot for their helmet variants and such, I suspect any of the thinner pieces will have the same problems as the Katanas do. 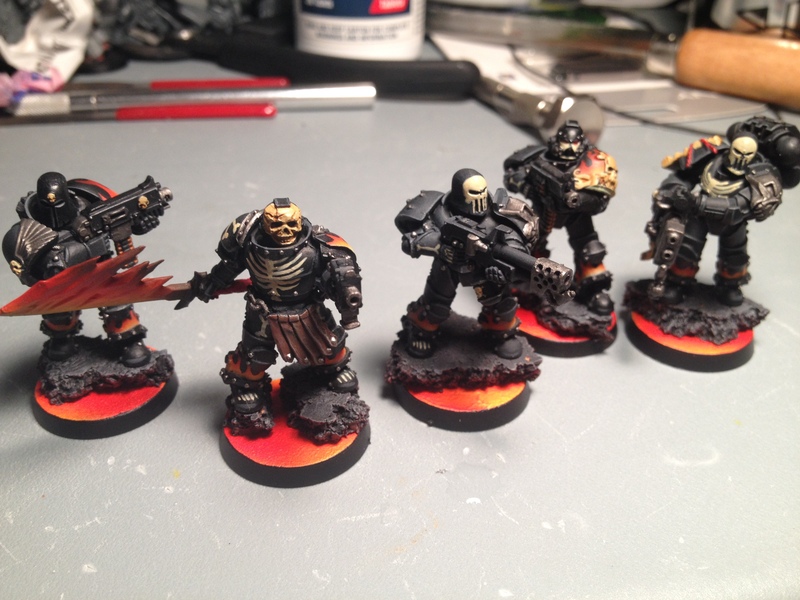 Using Mad Robot heads, standard IG kits and some creative kitbashing on the rifles. 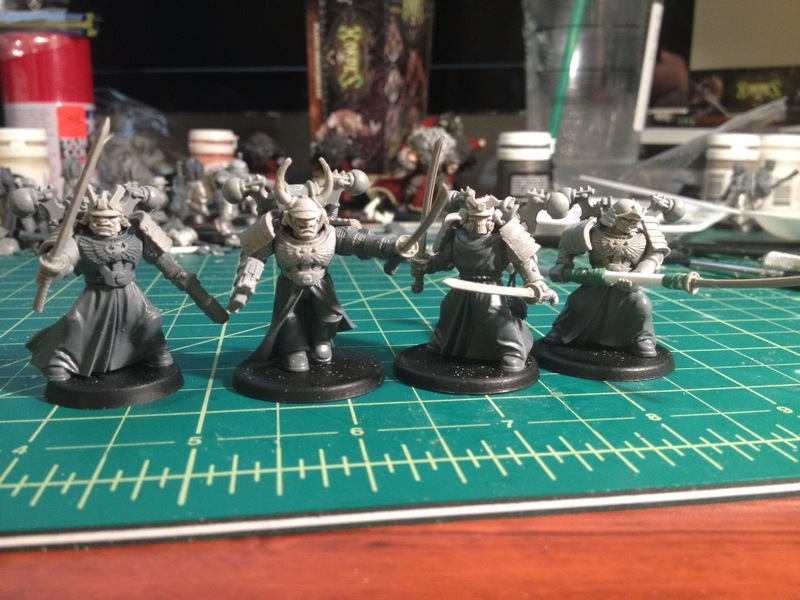 So these guys have the Puppets War bitz on Dark Angel robed torsos. I’m kinda meh on them. 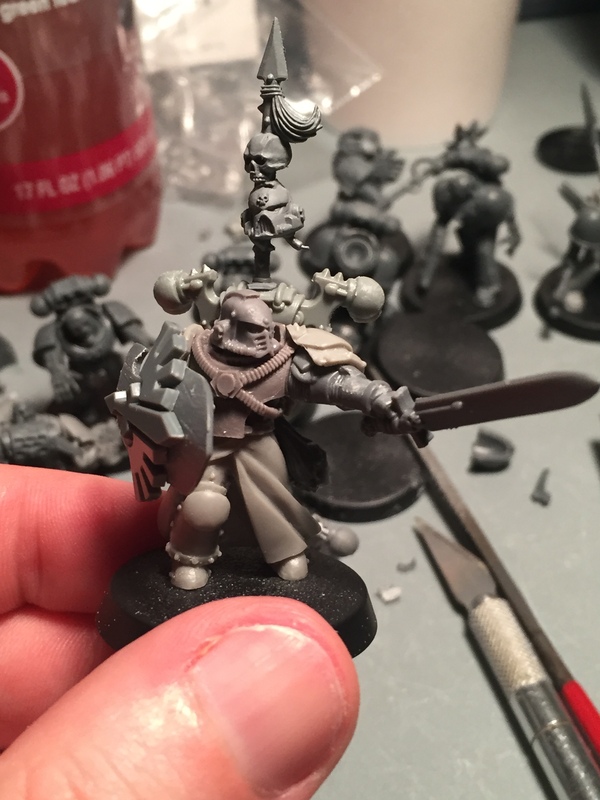 The newer revision that uses the Anvil Industries bodies and Grey Knight arms are a solid improvement. I’ll get pics of those as soon as I get some new Katanas.